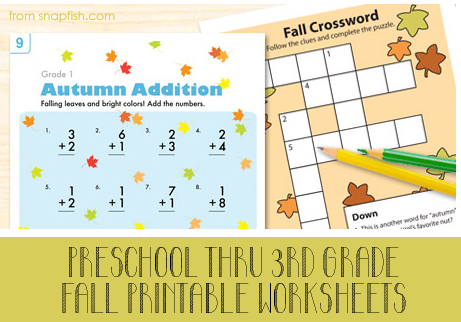 Found these adorable printable fall worksheets for preschool – third grade from Snapfish. Just thought I’d share them with you! Enjoy! This entry was posted in Holidays/Seasons, Language Arts, Math, Thanksgiving/Fall and tagged autumn, fall, first grade, Math, preschool, second grade, third grade by Squarehead Teachers. Bookmark the permalink.